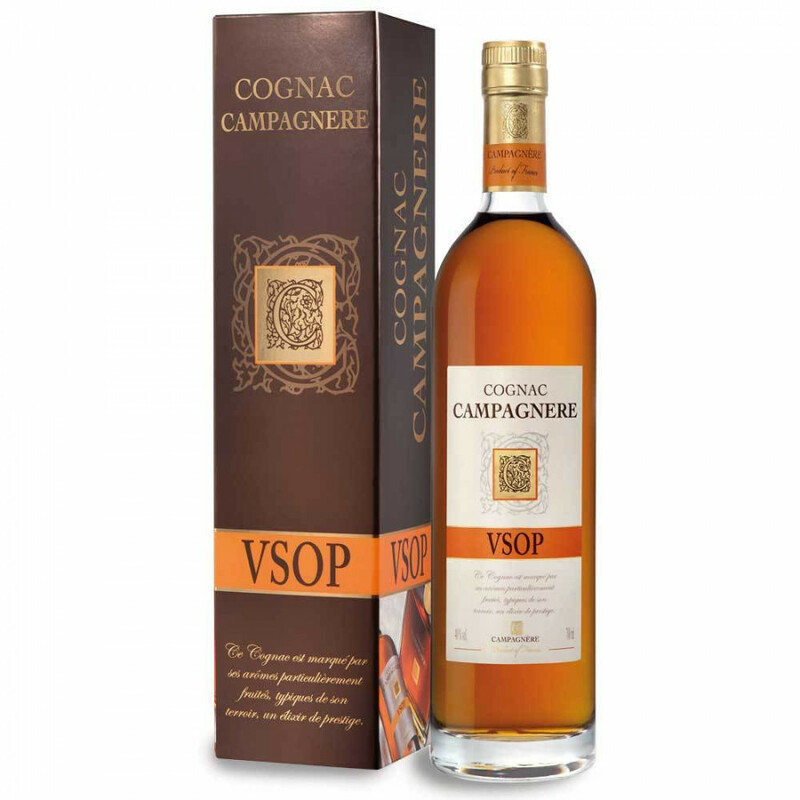 The Campagnere VSOP Cognac is a superb example of everything such a quality of Cognac should offer. It's surprisingly complex, providing a real sensory journey from the moment you first set eyes on the amber liquid. From the aromas of red stewed fruits to the surprising - but wonderfully enjoyable - slight sharpness on the palate, this is a VSOP that will definitely appeal to those who know their Cognac. As with all of Campagnere's Cognacs, this has been created through careful selection of eaux-de-vie that started life on the vines of the house's own vineyards. The journey continued with the slow, careful aging process in their cellars, and the journey ends when you carefully pour the precious nectar into your glass. This is a Cognac that has certainly earned a place in the best of drink cabinets. Part of the house of Tessendier, Campagnere Cognac is all about embracing family values, tradition, and - naturally - creating Cognacs that are of a superb quality with true appeal to the connoiseur. Owned and run by cellar masters, Jerome and Lilian Tessendier, this is a house with an extensive history and a burning desire to offer truly exceptional Cognacs - an aim they've certainly achieved.